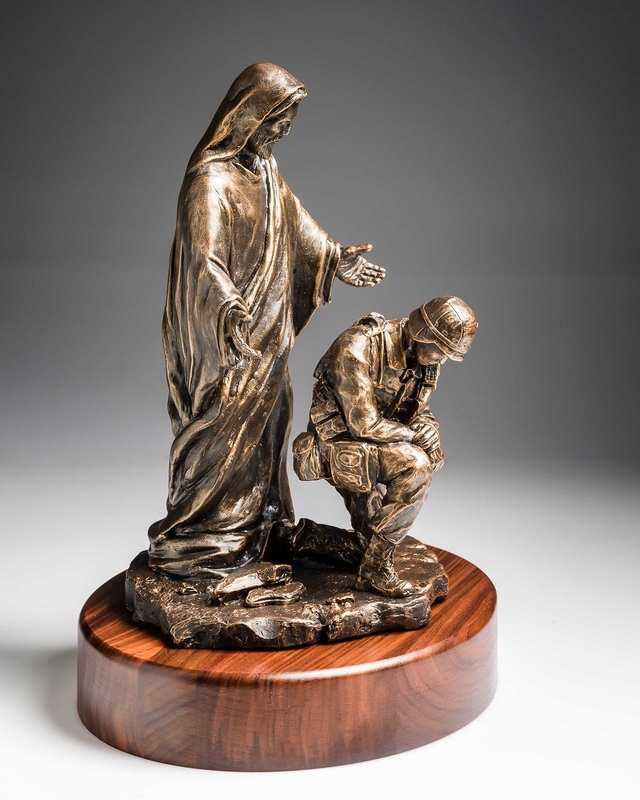 With You Always (Soldier) by Mark Patrick is a Christian Art Sculpture that would make a wonderful addition to the home décor of any military family. This highly detailed piece of Christian art is an excellent conversation piece that provides an opportunity to share your faith with all who view it. It measures 10" H x 7" W x 6" D and is mounted on a custom walnut base. A double thick walnut base, as shown, is available for an additional $15.00. A personalized nameplate can be added to the walnut base for an additional $10.00. Psalms 91:14-15, "I will protect him, for he acknowledges my name. He will call on me and I will answer him; I will be with him in trouble, I will deliver him and honor him."